Ashutosh Dutta is currently Senior Wireless Communication Systems Research Scientist at Johns Hopkins University Applied Physics Labs (JHU/APL), USA. Most recently he served as Principal Member of Technical Staff at AT&T Labs in Middletown, New Jersey. 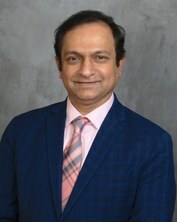 His career, spanning more than 30 years, includes Director of Technology Security and Lead Member of Technical Staff at AT&T, CTO of Wireless at a Cybersecurity company NIKSUN, Inc., Senior Scientist in Telcordia Research, Director of Central Research Facility at Columbia University, adjunct faculty at NJIT, and Computer Engineer with TATA Motors. He has more than 90 conference and journal publications, three book chapters, and 30 issued patents. Ashutosh is co-author of the book, titled, “Mobility Protocols and Handover Optimization: Design, Evaluation and Application” published by IEEE and John & Wiley that has recently been translated into Chinese Language. Ashutosh served as the chair for IEEE Princeton / Central Jersey Section, Industry Relation Chair for Region 1 and MGA, Pre-University Coordinator for IEEE MGA and vice chair of Education Society Chapter of PCJS. He co-founded the IEEE STEM conference (ISEC) and helped to implement EPICS (Engineering Projects in Community Service) projects in several high schools. Ashutosh currently serves as the Director of Industry Outreach for IEEE Communications Society and is the founding co-chair for IEEE 5G initiative. He also serves as IEEE Communications Society's Distinguished Lecturer for 2017-2018. Ashutosh serves as the general co-chair for the premier IEEE 5G World Forum. He was recipient of the prestigious 2009 IEEE MGA Leadership award and 2010 IEEE-USA professional leadership award. Ashutosh obtained his BS in Electrical Engineering from NIT Rourkela, India, MS in Computer Science from NJIT, and Ph.D. in Electrical Engineering from Columbia University under the supervision of Prof. Henning Schulzrinne. Ashutosh is a senior member of IEEE and ACM.